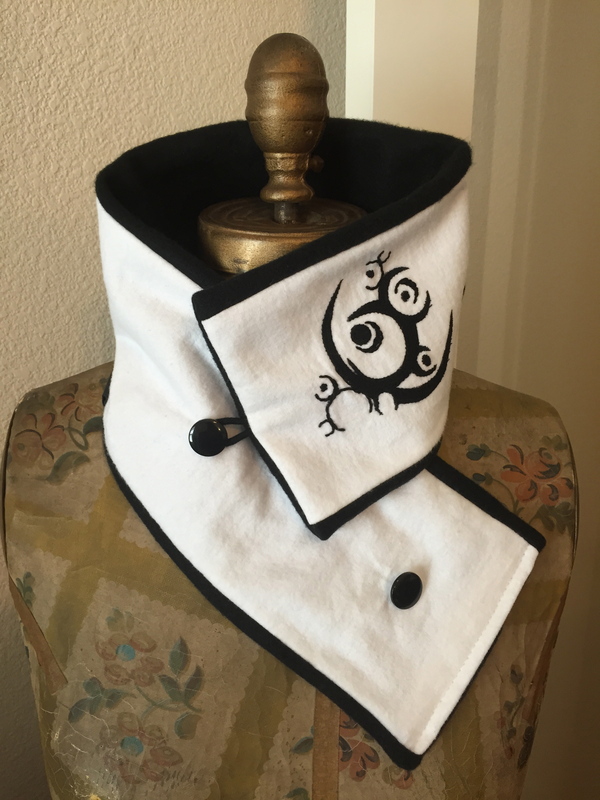 It isn’t very often that I am asked to design a scarf with a company logo. In fact, I think the last time was when I made the scarves for Julia in Australia for her family’s hot air balloon business. This time the request came for a friend-of-a-friend who owns a business in Germany called FlyRad. The scarf I made for the company is featured above. The logo was pretty intricate, so I actually had to dumb it down some. I made the logo and the name out of black flannel, drawing, cutting, and sewing everything by hand. Some of the lines I even had to embroider. The customer wanted the scarf to be unisex, as the owner of the company (and inventor of the FlyRad) is a man. But maybe his wife would wear the scarf too. I don’t normally make a lot of scarves in black and white, but here I like the bold crispness of it. The logo and brand name really stand out. I also enjoy scarves such as this because they challenge my drawing skills. And I don’t just mean pencil and paper drawing, but drawing with scissors and embroidery needles. It adds an extra level of ingenuity. 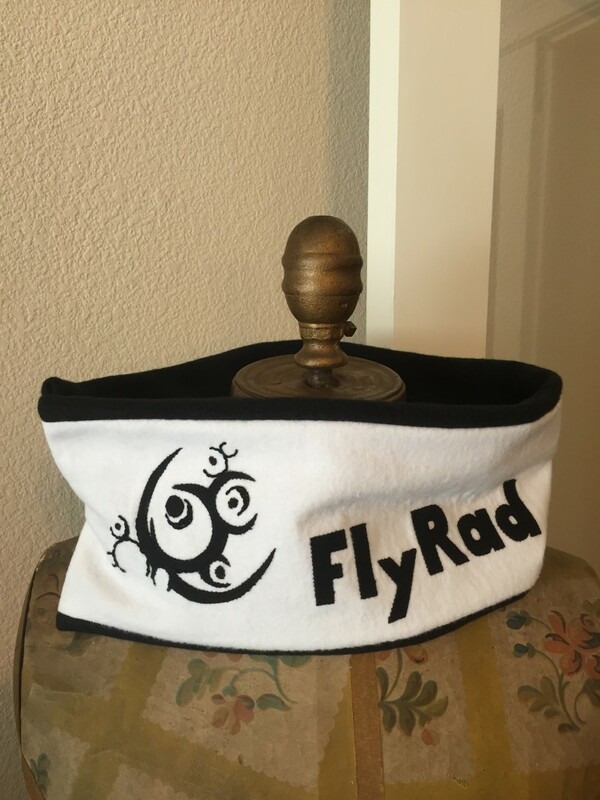 Speaking of ingenuity, interested in what the FlyRad actually is? Visit the website and check it out. I’ve never ridden it, but I have seen it in action. It’s what you get when you cross rollerblades with a motorcycle. It’s a compact cycle that is capable of speeds over 20 mph. It’s a creative idea with a lot of versatility in its application…not to mention fun.